Having medical insurance is no longer a guarantee that you can get the mental health services you require. A recent survey conducted by the Blue Cross Blue Shield of Massachusetts Foundation, found that more than half of the adults who sought mental health or addiction treatment experienced significant difficulty in getting that care. The obstacles to receiving care were so significant that 39% of those surveyed ended up without the treatment they sought even though the vast majority of these patients were insured. The obstacle wasn’t that they didn’t have insurance. Rather the problem was that the mental health providers either did not accept the employee’s insurance or they were not accepting any new patients. As a result of being unable to access mental health services, about 13% of these patients sought help in an emergency room even though most of them felt that their condition was not an emergency and could have been treated by a mental health professional if one had been available. Employers are likely to be disheartened by the news that, even though they are spending increasing amounts on employee health insurance, employees and their family members are not always able to find the help that they need, particularly in the areas of mental health and substance use disorder treatment. These findings will not surprise anyone in the EAP profession. Our counselors experience first-hand the difficulty of finding mental health providers who are available to take referrals. While the long-term solution to this problem is to expand the supply of mental health/substance use disorder providers, there are steps that companies can take in the meantime to ensure that their employees are receiving the care they need and not making unnecessary visits to an emergency room. Companies can remind employees that their Employee Assistance Program (EAP) can help them find mental health providers who have openings and accept their insurance. EAPs are prepared to act as a guide and advocate for employees and family members as they navigate a very complicated, and often inhospitable, behavioral health network. EAPs will make as many phone calls as it takes, on the employee’s behalf, to identify appropriate resources. This not only saves the employee from getting discouraged (and giving up) but it improves the likelihood of finding a good therapeutic match because of the EAP’s expertise and knowledge of the local mental health network. In addition, the EAP can provide 24/7 access to counseling and crisis support and are well-positioned to provide short-term counseling services while an appropriate community provider identified. More work absences and work impairment are caused by mental health issues than by any other chronic health conditions. Mental health diagnoses are the fastest growing area of short-term disability claims and account for 30% or more of the disability burden for employers. 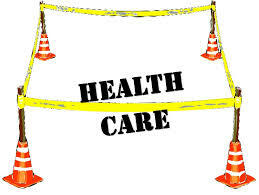 Employees with substance use disorders have health care costs that are more than double those without these disorders. The majority (65%-80%) of individuals will improve with appropriate mental health diagnosis, treatment and ongoing support. Companies need to make their EAPs highly visible in the workplace to ensure that employees (and key management, human resources, health and safety professionals) are fully aware of the EAP’s capabilities to help employees get the services they need for mental health and substance use disorders.